Hospitality is any situation where a host provides a service to a guest, and is traditionally related to food, drink or accommodation. Nowadays, hospitality goes way beyond this – today it’s the world’s largest and fastest growing industry. It is a world-wide renowned career, and it’s all about customer service. William Blue’s Hospitality Management courses introduce you to hospitality concepts, allow you to discover business and management principles, and provide you with the knowledge, attributes, skills and experience of hospitality operations. As a graduate, you will have the opportunity for an exciting role in many areas of the hospitality industry. 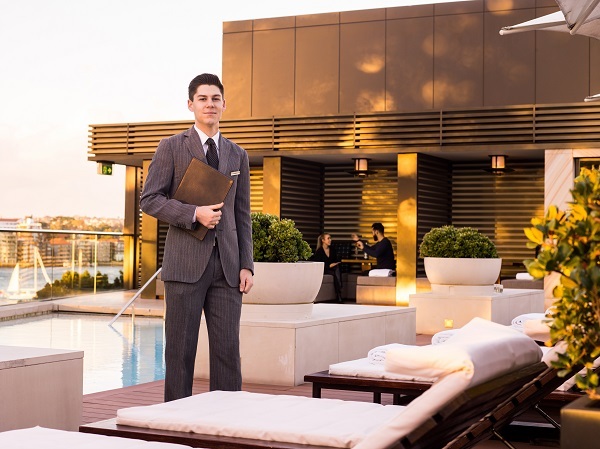 If you love people, a hospitality career could be just what you are looking for – this program gives you a taste of what a hospitality career has to offer. The Associate Degree of Business (Hospitality Management) is delivered by Torrens University Australia, trading as William Blue at Torrens University Australia CRICOS 03389E. Students of the Associate Degree of Business (Hospitality Management) will be required to complete 800 hours in approved internship. With the help of the Career Consultants, we partner with industry to provide students practical work while they study. We partner with students to find an organisation in the sector they wish to gain practical experience in. The opportunity to gain professional work experience in the Bachelor Degree and Associate Degree is an invaluable experience for students, giving them important insights. Negotiation and Conflict Resolution are essential leadership skills for global business. Students will learn to identify their own personal negotiation style, and how to resolve dilemmas such as conflict of interest; honesty and trust, enabling them to better develop their leadership skills. Practical insights into organisational behaviour and its relationship with negotiation and conflict will be explored.